I write this book because I want a new approach to Social Studies, different from the ones offered by official, state-adopted textbooks. I find that I either disagree with the order in which material is presented, the introduction of key concepts, or with the watering-down of controversial subjects. I'm not indicting all textbooks as inherently bad. Rather, I'm rejecting their intellectual approach and the fact that political straitjackets constrain authors from presenting information I deem vital to properly inform the students of today on how to be the responsible citizens of tomorrow. On the highest level, this book is for anyone who wants to read or use it. Rather than subject it to the political correctness of a textbook adoption procedure or the commercial constraints of a publishing house's editor, I make this book available free of charge to anyone who cares to access it. This is samizdat for a new age. 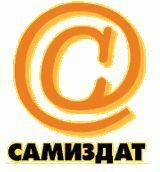 Samizdat is a term from the Russian language. It means “forbidden writings”. When the Soviet Union existed from 1917-1991, it practiced severe restraints on free speech. It forbade criticism of the government and either imprisoned or murdered those who did. Nevertheless, people did criticize the government, in secret. They wrote because they felt a need to do so, to inform others of the nightmare they lived in. Wait! Isn't that stuff supposed to come at the end of the History part of the book? Why should it? Why should History be taught in chronological order? Or in the absence of a study in Government or Economics? Often, past events make no sense whatsoever until they're placed in a modern context or in the context of economic or political realities. I'm writing something I know would never be allowed into a classroom under a formal textbook adoption policy. In that context, it's appropriate to introduce the notion of the struggle for free speech. It's something that happens throughout history: people want to be free, in every sense of the word. So why isn't everyone free? People get tricked or bullied by governments on a constant basis into cooperating with policies that reduce freedom. That's awful. How can I help? You can help by informing yourself as best you can, so you are less likely to be duped and so you're able to educate others when a government dresses up a harebrained scheme as a great idea for our time. No one should ever completely trust any government. Everyone should be mindful that scoundrels, crooks, incompetents, and outright psychotics have always had, and always will have, access to government posts. Past brilliance is no guarantee of future performance. With a healthy suspicion of those in power, we can help prevent or minimize damages to our freedoms. I'll remember that if I ever move to another country. Thank goodness I live in America. What I said applies to the USA. As much as anywhere else. Whoa. You got something against the USA? Not at all. I love my country. I love the fact I won't be murdered or imprisoned for using this material in my classroom, but will probably only be mildly reprimanded if it causes any trouble. 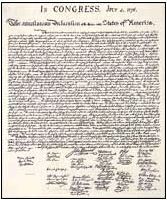 I love the fact the Founding Fathers of our country built in the freedom to criticize our leaders and vote them out of office if they anger us sufficiently. I love the fact my country was built on the principle that constant vigilance is required to protect our freedoms. There are threats to freedom in laws or holding positions of power in the USA right now. Without questioning our government, how will we be able to separate the good from the bad? I thought we revolted against England. We did. That's the same country. Anyway, the people who revolted against England were some of the biggest troublemakers of their day. After all, they did commit acts of treason against the British Crown. They did lead an armed rebellion against their mother country. You don't do that unless you're pretty darn critical of the existing governmental situation. I don't think we need an armed revolt in America to fix things. We just need an election. But we do need to be properly informed of things so we can be sure to protect our freedoms and not toss them away because we trust the government to be right all the time, every time. People are capable of making mistakes, and people in government, even in the highest positions of government, are not immune to imperfection. So you're writing this book to trash textbook adoption committees and the USA? That kind of talk doesn't belong in the classroom, mister. On the contrary, it belongs everywhere. At any rate, I'm writing to inform, which makes up the basis of criticism, be it positive or negative. Hitler's Final Solution claimed the lives of 15 million people or more. Most everyone I know, including myself, acknowledges that fact and use it to negatively criticize Hitler's government. We say that was a bad thing to do, and that's understating my personal position. I am aware of others, though, who acknowledge that fact and stand behind Adolf Hitler's decision to commit genocide against Jews, Russians, Poles, Gypsies, and others. I disagree with those people, but at least both of us are informed and aware of what happened. Our judgment is based on that awareness. How could somebody be in favor of genocide? That's awful! It happens. There are people who will condemn it when other countries do it, but justify it when their own country is guilty of the action. The USA has committed genocide in its past. It is my duty as a historian to bring that up, discuss pertinent details, offer my opinion, and leave you free to form yours. What do you mean, the USA's committed genocide? And you've got no right to force your opinion on your students. I'm not forcing my opinion, I'm offering it. I don't exist in a vacuum and I feel the need to explain my bias in these discussions. By being honest about it, it makes the opinion much easier to separate from the facts. Any of the Social Studies disciplines are useless as a collection of facts. Students need to see how opinion can be drawn from facts, so they can apply it to events in their lives as they arise. The USA committed genocide against the Native American tribes from the country's founding up to the present day, according to some observers. The USA broke treaties with the Indians, massacred them, herded them on to reservations, starved them, exploited them, and did nearly everything possible to wipe them out as a people. The USA policy of reservations inspired the concentration camps of the Boer War (around 1900), which in turn inspired the Nazi concentration camps of the early 1930's. 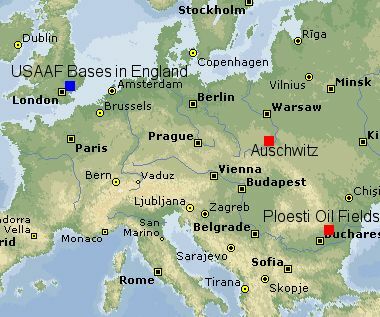 That system spawned the murder camps which appeared after 1942. The USA government refused to lift or raise quotas on German immigration during the 1930's. Consequently, only 20,000 Germans were allowed into the country prior to the outbreak of World War II in 1939. In one case, the USA refused to allow a boat loaded with Jewish refugees from Hitler's regime to enter the country. They went back to Europe, where many later died in the Holocaust. The USA was aware of Auschwitz' function as a murder camp almost from the very beginning, yet did nothing to stop the flow of innocents from being incinerated there. Well, what could we have done? It was all the way in Poland. American bombers could reach that target easily. The USA bombed the Rumanian oilfields at Ploesti, which was further away from bomber bases in England. The USA bombed rail lines with precision throughout France and Germany to prepare the way for its forces to invade those countries. A strike against the rail lines heading into Auschwitz could have stopped or slowed down considerably the flow of people into that camp. Now you see my opinion, based on the facts given. I'll expand upon it: once we take into account existing anti-Jewish sentiments in the USA during that time period, we see the USA had at least passive complicity in the Holocaust. Given USA persecutions against Blacks, Indians, Asians, and Mexicans, we see a pattern of racism in the USA which has affected many governmental policies in the past and, in spite of the advances made in the civil rights movements of the 1960's and 1970's, continues to affect governmental policies. I believe such racist attitudes are very deeply held by many Americans, and will take generations to change. I am thankful for troublemakers like Dr. Martin Luther King, Jr. who put into motion a criticism of the situation he faced that resulted in changes for the better. I'll try and discuss more about this sort of thing later on in the book. This is just the introduction, and I'd like to finish this off so I can get to the beginning of the book. Are you going to offer a little more proof for your statements? I'll definitely try to. This is a living document, I control it, so I can change it any time to add more information to it. For proof, I'll include maps, illustrations, and primary source documents. What's a primary source document? A primary source document is something written at the time the event occurred by someone witness to the event. Or something like that. For instance, in the Auschwitz example above, quotes from the Wannsee Conference, where Nazi officials discussed the Final Solution and planned it out, would be primary sources. A Chilean diplomatic communication about the function of Auschwitz the OSS intercepted in November, 1941 would be a primary source. A secondary source would be something based on primary sources. Authors of secondary source material will footnote their document with references to their primary sources, so if you wanted to check them out and see if the author read them in a manner you agree with, you could. A tertiary source would be an encyclopedia or textbook. It does not necessarily reference its primary sources, so it becomes harder to question. Because this document will likely be available over the Internet, I will try and include links to primary source documents available online which are pertinent to this book. I'll quote them in part here, but will make the full texts available to anyone who wants to read them in full. Who knows? I might have overlooked something and an interested reader could offer me a suggestion to improve the quality of this book. OK, so how are we supposed to learn Social Studies your way? I plan to present key concepts first, then go into history to illustrate those concepts. That covers Economics and Government. For History, I'll need to present a timeline of events. Some events will be trivial and an interested reader could follow them to a deeper exploration of the topic. Others will be more important and will be discussed in some detail in the main text. Nevertheless, I'll try and include auxiliary information on all topics, again, for the interested reader. What about the dis-interested reader? You mean the student who has to read this for my class? For that guy, I'll include the questions about the topic I want him to be able to answer. I'll put them first, so he'll know what he's reading for in my book. If he can't answer the questions, he's not doing enough work on his part to learn this subject. I mean, I'm writing this book – the least he can do is read and discuss it. Earlier, you said, “Blacks” instead of “African-Americans”. Why is that? A writer named Kyle Baker said that any time we add syllables to describe a minority group, they're about to be ignored or treated much worse than before. He used stronger language than that, but I'll refer you to his book Why I Hate Saturn if you want to read the quote in full, and in context. It's a great book, a graphic novel. Anyway, it's an easier construction, less work for me to type, and, frankly, it really does make us have to think about what we're saying more when we use that term. When we think more about something, we don't ignore it. “Homeless people” can become invisible. “Bums” have to be dealt with. Discrimination in America is based more on skin coloration than extensive reviews of genealogy. Historically, if people looked like they had white skins, they were treated as white people, regardless of actual ancestry. I won't use derogatory terms for minority groups, but I will use terms that are a little easier to digest than “people of color” or “(some other continent or country)-Americans”. Pushkin is a famous Russian poet. He was also black. But he's not called an African-Russian. He's not even called a Black Russian. He's just a Russian. The Dutch who settled in South Africa aren't African-Afrikaners or African-South Africans. Mobutu Sese Seko isn't an African-Zairian. Why should citizens of the USA become hyphenated? I think it's silly, so I won't do it. Remind me to discuss that in more detail later on. Are you gonna keep asking questions like this? Yes. It gives the book a dialogue feel. That's always a lot easier to read and digest than straight rehashing of events. Introduction's over. Time for the main stuff.